'Co-morbitity' is the standard in treating Addiction and Mental health'. The term “comorbidity” describes two or more disorders or illnesses occurring in the same person. They can occur at the same time or one after the other. Comorbidity also implies interactions between the illnesses that can worsen the course of both. Yes. Addiction changes the brain in fundamental ways, disturbing a person’s normal hierarchy of needs and desires and substituting new priorities connected with procuring and using the drug. The resulting compulsive behaviors that weaken the ability to control impulses, despite the negative consequences, are similar to hallmarks of other mental illnesses. How Common Are Comorbid Drug Addiction and Other Mental Illnesses? Many people who are addicted to drugs are also diagnosed with other mental disorders and vice versa. For example, compared with the general population, people addicted to drugs are roughly twice as likely to suffer from mood and anxiety disorders, with the reverse also true. Why Do These Disorders Often Co-occur? Drug abuse may bring about symptoms of another mental illness. Increased risk of psychosis in vulnerable marijuana users suggests this possibility. Mental disorders can lead to drug abuse, possibly as a means of “self-medication.” Patients suffering from anxiety or depression may rely on alcohol, tobacco, and other drugs to temporarily alleviate their symptoms. Overlapping genetic vulnerabilities. Predisposing genetic factors may make a person susceptible to both addiction and other mental disorders or to having a greater risk of a second disorder once the first appears. Overlapping environmental triggers. Stress, trauma (such as physical or sexual abuse), and early exposure to drugs are common environmental factors that can lead to addiction and other mental illnesses. Involvement of similar brain regions. 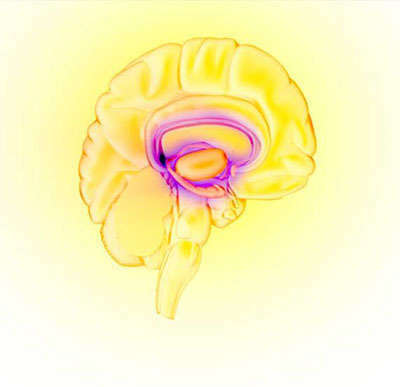 Brain systems that respond to reward and stress, for example, are affected by drugs of abuse and may show abnormalities in patients with certain mental disorders. Drug use disorders and other mental illnesses are developmental disorders. That means they often begin in the teen years or even younger—periods when the brain experiences dramatic developmental changes. Early exposure to drugs of abuse may change the brain in ways that increase the risk for mental disorders. Also, early symptoms of a mental disorder may indicate an increased risk for later drug use. How Are These Comorbid Conditions Diagnosed and Treated? The high rate of comorbidity between drug use disorders and other mental illnesses calls for a comprehensive approach that identifies and evaluates both. Accordingly, anyone seeking help for either drug abuse/addiction or another mental disorder should be checked for both and treated accordingly. Several behavioral therapies have shown promise for treating comorbid conditions. These approaches can be tailored to patients according to age, specific drug abused, and other factors. Some therapies have proven more effective for adolescents, while others have shown greater effectiveness for adults; some are designed for families and groups, others for individuals. Effective medications exist for treating opioid, alcohol, and nicotine addiction and for alleviating the symptoms of many other mental disorders, yet most have not been well studied in comorbid populations. Some medications may benefit multiple problems. For example, evidence suggests that bupropion (trade names: Wellbutrin, Zyban), approved for treating depression and nicotine dependence, might also help reduce craving and use of the drug methamphetamine. More research is needed, however, to better understand how these medications work, particularly when combined in patients with comorbidities. How many people take drugs and drive? According to the 2014 National Survey on Drug Use and Health (NSDUH), 10 million people aged 12 or older reported driving under the influence of illicit drugs during the year prior to being surveyed. NSDUH findings also show that men are more likely than women to drive under the influence of drugs or alcohol. And a higher percentage of young adults aged 18 to 25 drive after taking drugs or drinking than do adults 26 or older. Which drugs are linked to drugged driving? After alcohol, marijuana is the drug most often found in the blood of drivers involved in crashes. Tests for detecting marijuana in drivers measure the level of delta-9- tetrahydrocannabinol (THC), marijuana’s mind-altering ingredient, in the blood. 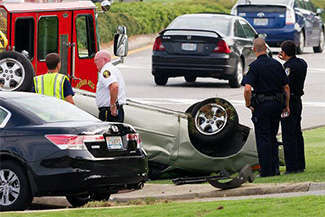 But the role that marijuana plays in crashes is often unclear. THC can be detected in body fluids for days or even weeks after use, and it is often combined with alcohol. The risk associated with marijuana in combination with alcohol, cocaine, or benzodiazepines appears to be greater than that for either drug by itself. Several studies have shown that drivers with THC in their blood were roughly twice as likely to be responsible for a deadly crash or be killed than drivers who hadn't used drugs or alcohol. However, a large NHTSA study found no significant increased crash risk traceable to marijuana after controlling for drivers’ age, gender, race, and presence of alcohol. More research is needed. Along with marijuana, prescription drugs are also commonly linked to drugged driving crashes. A 2010 nationwide study of deadly crashes found that about 47 percent of drivers who tested positive for drugs had used a prescription drug, compared to 37 percent of those had used marijuana and about 10 percent of those who had used cocaine. The most common prescription drugs found were pain relievers. However, the study didn't distinguish between medically-supervised and illicit use of the prescription drugs. How often does drugged driving cause crashes? One NHTSA study found that in 2009, 18 percent of drivers killed in a crash tested positive for at least one drug. A 2010 study showed that 11 percent of deadly crashes involved a drugged driver. In 2010, more than one-quarter of drugged drivers in deadly crashes were aged 50 years or older. Illicit drug use in adults aged 50 to 59 has increased, more than doubling from 3 percent in 2002 to 7 percent in 2010. Mental decline in older adults can lead to taking a prescription drug more or less often than they should or in the wrong amount. Older adults also may not break down the drug in their system as quickly as younger people. These factors can lead to unintended intoxication while behind the wheel of a car. Why is drugged driving a problem in teens and young adults? Teen drivers are less experienced and are more likely than older drivers to underestimate or not recognize dangerous situations. They are also more likely to speed and allow less distance between vehicles. When lack of driving experience is combined with drug use, the results can be tragic. Car crashes are the leading cause of death among young people aged 16 to 19 years. A 2011 survey of middle and high school students showed that, in the 2 weeks before the survey, 12 percent of high school seniors had driven after using marijuana, compared to around 9 percent who had driven after drinking alcohol. A study of college students with access to a car found that 1 in 6 had driven under the influence of a drug other than alcohol at least once in the past year. Marijuana was the most common drug used, followed by cocaine and prescription pain relievers. What steps can people take to prevent drugged driving? 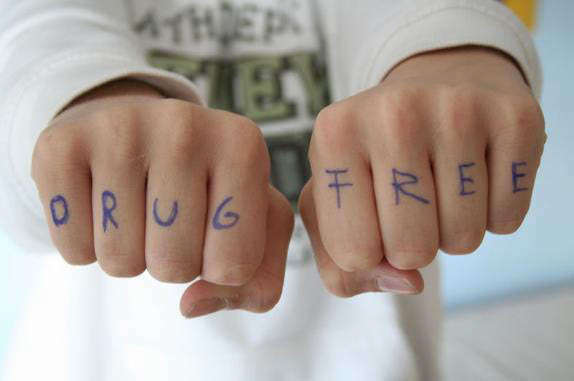 Drugs include illicit substances and prescription and over-the-counter medicines. The study excluded nicotine, aspirin, alcohol, and drugs given after the crash. Most drugs affect the brain's "reward circuit" by flooding it with the chemical messenger dopamine. This reward system controls the body's ability to feel pleasure and motivates a person to repeat behaviors needed to thrive, such as eating and spending time with loved ones. This overstimulation of the reward circuit causes the intensely pleasurable "high" that can lead people to take a drug again and again. Most drugs affect the brain's reward circuit by flooding it with the chemical messenger dopamine. This overstimulation of the reward circuit causes the intensely pleasurable "high" that leads people to take a drug again and again.